Dennis and SISIS have announced key dates and locations for their 2018 bowling green maintenance seminars. Committed to educating greenkeepers and raising the standards of bowling greens, Dennis and SISIS have long supported the sport of bowls. 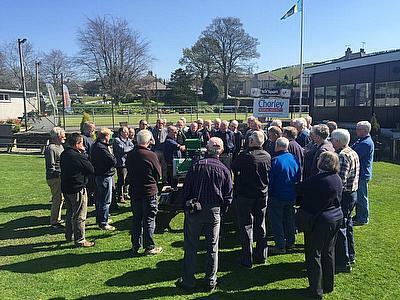 Their bowling green maintenance seminars continue to go from strength to strength with delegates praising them for helping make an improvement to their greens. Attendees can expect tips on early spring maintenance of bowling greens, grant funding support, and choosing the correct grass seed. A complimentary lunch, which signals the halfway point, offers great networking opportunities before attendees make their way outside to an on-the-green demonstration. The demonstration not only provides a perfect opportunity to see some of the sport’s best maintenance equipment in action but also brings together the morning education with the practical elements of applying it to the greens. In the afternoon, delegates can gain a greater understanding of chemicals and fertilizers before the day concludes with the hugely popular Turf Clinic Q&A session - allowing attendees to ask advice about their own projects or any issues that they may have. All seminars start with registration at 9am. To register for the FREE and highly informative seminars, please contact Roger Moore on 01332 824777 or email roger.moore@dennisuk.com.